Google analytic is a free blog analytic service from Google. By using Google analytic, you can track your site visits and details on which posts are performing the best. This is one of the essential set up of WordPress blog and in this tutorial I will be telling you how you can get started with generating and installing Google Analytics code into any WordPress blog. In this tutorial, I will be using Google Analytics WordPress plugin by Yoast as an example. 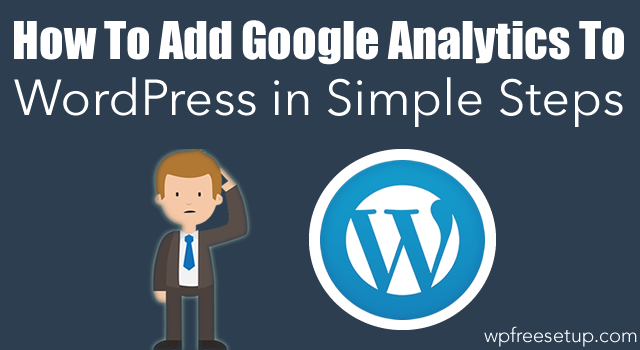 Though you can use any simple WordPress plugin to add analytic into your WordPress blog. The first step is to generate Google analytic code which you need to add to your WordPress blog. Go to Google analytic homepage and login using your Google account. On the next page, add your Website URL, account name and select your Country. On the next page add required details like your Name and country again. Accept terms and conditions of Google Analytics and click on create a new account. 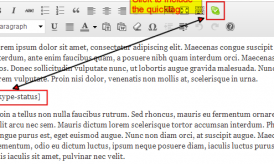 Grab your analytic code in the next page and next step is to add those codes to your WordPress blog. So far, you have created your Google Analytics account, and now you need to add the code into your blog. There are various ways by which you can add the code, and I’m listing down best options including popular Google Analytics WordPress plugin. Google tag manager is a free service by Google for tag management. I use this service to add Google Analytics code or any other code to my blog. One benefit of using GTM is, it loads all such tracking code asynchronously, which ensure your blog speed doesn’t hamper. Moreover, it’s quite easy to use Google tag manager. You can login to your Google Analytics account to Google tag manager, to get started with it. You can refer to this official guide. Once you have added your GA UTM code into Google tag manager, you need to Install this plugin & add your GTM code. After that, whenever you need to add any other code, you don’t need to edit your theme. You can do that by Google tag manager. I highly recommend you to use GTM method for implementing Google Analytics, but if you are looking for an alternative, try Google Analytics by Yoast. 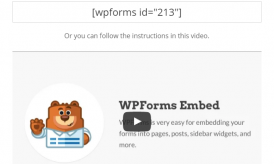 This plugin lets you add GA from WordPress dashboard and offer many advanced features. Simply Download and Install this plugin and go to Google Analytics settings under WordPress dashboard and click on authenticate with Google. Once you have given access to your Google account, select your account and profile and click on update Google Analytics settings. That’s it and within 24 hours you can start seeing your blog stats inside Google Analytics dashboard. As a free analytic program, Google Analytics is one of the best available program. This is one awesome premium plugin for advanced users. You can see your traffic stats inside WordPress dashboard, or even after blog post. This plugin cost only $29 and is recommended for those users who understand SEO. You can see traffic data for individual posts inside the dashboard. Analytify is also an official Google Analytics partner, and this plugin is recommended over any other Analytics WordPress plugin. My recommendation is to use Google tag manager plugin to add Google analytics code into your WordPress blog. Install Analytify plugin, and check your stats from the dashboard. If you don’t want to use Tag manager, you can also add GA code using Analytify plugin. Do let us know if you have any question regarding setting up Google analytics with your WordPress blog. I tried to install Google Analytics in the dashboard of my wordpress blog. I found that only those who have an google account can open an Google Analytics Accounts. I failed to open with my rediffmail account. As on date, the plug-in is there in the admin but lies in an inoperative/dormant state for want of authorisation code. Pls help. You need to create a Google account, and follow above steps to signup for Google analytics. Let me know if you need further help! Really Great Guide for Google Analytics Setup on WordPress. Thanks Harsh for this post. Great post..I think I should buy analytify soon but are there any others plugins. If you are suggesting I think it would be helpful. Hi BARNALI RAY, You need to create a Google account, and follow above steps to signup for Google analytic’s. Let me know if you need further help! Thanks for sharing related Google Analytics ..